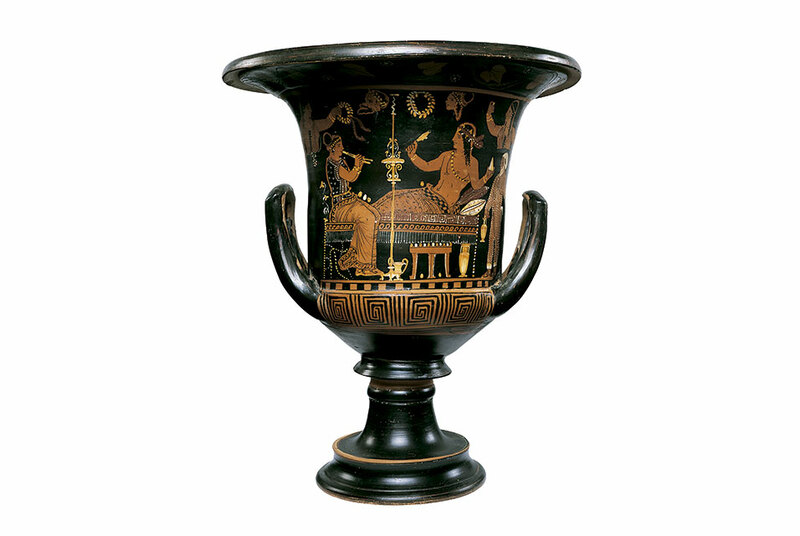 The Speed Art Museum in Louisville, Kentucky has agreed to transfer ownership of a Paestan calyx-krater to the Italian authorities ("The Speed Art Museum and Italian Ministry reach loan agreement on ancient calyx-krater", Art Daily 2018). It will, however, remain on loan in the museum. The krater, showing Dionysos playing the sympotic game of kottabos, was acquired in 1990 from Robin Symes (inv. 90.7). It appears that the krater was identified by Dr Christos Tsirogiannis in 2015 from images in both the Medici Dossier and the Schinousa archive. Symes had claimed that the krater had come from a private collector in Paris. This is one of a series of Paestan objects that have been returned to Italy. They include the Asteas krater from the J. Paul Getty Museum, the Paestan krater from New York's Metropolitan Museum of Art, a Paestan squat lekythos from the Fleischman collection, a Paestan squat lekythos from a Manhattan gallery, and the Paestan funerary painting. The fact that the Speed Art Museum has responded to these concerns is encouraging. Stephen Reily commented on the "shared interest in the responsible celebration of Italian cultural heritage". One wonders if the Michael C. Carlos Museum will also be responding to the identification of objects in its collection from the Becchina archive.